Summary: This essay is about why people go to Gurus, the qualities of a true Guru, and the true purpose for which a Guru’s help is needed. Gurus are supposed to remove mental darkness by imparting right knowledge and helping their disciples on the way to liberation. In Hinduism, the Guru is equated with God in human form. Hence, the tradition of Gurus says that he should be treated like God himself and given the utmost respect. In this age of Kaliyuga, it is difficult to find true Gurus. Darkness has invaded the world of Gurus also. You may find a needle in haystack but it is doubtful whether you will find a true Guru who has attained perfection without making mistakes in the process. If you find one at the very first instance, you are lucky. The tradition of Gurus and ascetic sects are chiefly responsible for the preservation and continuation of the core aspects of Hinduism. They have done great service to it in the past. With a few exceptions, today one cannot say the same about them for various reasons. The Guru tradition is still vibrant in Hinduism because of the esteem in which the Gurus are traditionally held. Questioning the wisdom or knowledge of a Guru is a taboo. So is doubting their integrity or honesty. The Law Books declare that showing disrespect to a Guru or incurring his displeasure is sinful (Upa Pataka). As a result, many people do not openly raise concerns about a Guru until he is convincingly exposed by a scandal or hard evidence. No one truly knows about the true credentials of the Gurus in today’s world since most of them live guarded lives, surrounded by a circle of trusted followers who filter their interaction with the public. When scandals break out, people’s faith in them, and in the tradition, erodes. You cannot fully rely upon any information about them in the Public Domain unless it is corroborated by multiple sources, since it may contain distortions, exaggerations and inconsistencies. Much of it is caused by their overenthusiastic followers, with or without their knowledge or permission, to elevate them to a higher status than what they may truly deserve. No scientific studies exist to show how effective the Gurus are in the transformation of their followers, and how many people attained liberation or spiritual perfection under their guidance. It is not uncommon to see the Gurus enjoying widespread popularity and public adulation as spiritual leaders and men of eminence. When some of them also venture into politics or commercial activities, it makes them vulnerable to criticism since people expect them to be spiritual and lead exemplary lives as true renunciants in the mold of the seers and sages of the past. On the positive side, the Gurus bring many people to the religious fold and inculcate in them feelings of religiosity and spirituality. They introduce them to the wealth of spiritual knowledge and wisdom contained in our scriptures and help them transform their outlook and thinking, and practice virtue and discipline. Many also contribute to the welfare of the world by inspiring worldly people to transcend their selfishness and attachment and channel their wealth into spiritual activities and selfless service. The Guru Gita, which forms part of the Skanda Purana declares that the Guru is the transcendental, eternal and indestructible Self. He is the pure, unfettered, indivisible consciousness. Knowing thus, the wise constantly strive to realize the true nature of the Guru. According to it, the most important duty of a Guru is to help the disciples in their spiritual transformation. All bad karma and harmful desires become cleansed when one serves at the feet of the Guru. By serving him, they become freed from ignorance and delusion and attain union with the Supreme Being. Humility and obedience to the Guru are of utmost importance. Those who worship at the feet of the Guru and wash his feet with devotion earn the merit which is equivalent to bathing in all places of pilgrimage. The Guru Gita repeatedly emphasizes the godliness of the Guru and sanctity associated with him. It states that whichever place a Guru chooses to reside is a holy place. He is the source of liberating knowledge. Supreme Knowledge resides on his tongue, and it is obtained by his disciples through devotion to him and by his grace only. By constantly meditating upon the mantra, which he imparts to them they attain peace. The Guru is the remover of darkness. Therefore, attaining his feet should be the highest goal for the seeker of liberation. The disciples should offer him everything, whatever they have and whatever that pleases him, including worldly things. They should dedicate themselves to their Guru and live for his sake. It is better than living for the sake of pleasures, which brings misery and binds people. The Guru is the illuminator, who brings truth to all beings. Therefore, he should not be taken lightly. He is the mother, father and everything to his disciple. Since he is above all relationships, his disciples should not look to anyone other than him for their knowledge and transformation. He is the cause of creation, the bridge to cross over the ocean of transience to the ocean of eternal bliss, the master who opens the eyes of his disciples to the truths of God and removes the sufferings of his followers. As a pure being, he is beyond the triple Gunas, names and forms, who if necessary can safeguard his disciples from the wrath of Shiva himself by speaking for them. The Guru Gita also emphasizes upon the respect that should be given to a Guru. A disciple should keep the Guru’s mantra, teachings, and spiritual presence in mind throughout the duration of every birth and until the end. He shall never forget his Guru, even if he attains Self-realization. He shall not utter what is not completely true or speak discourteously or disrespectfully in front of him. Those who speak to their Guru with egoism or anger, or argue with him will lose all the wisdom, which they have learned. They will be reborn in a waterless region or where the enemies of God live, without any interest in Truth or liberation. The Guru Gita is a valuable source of information and inspiration to a novice to cultivate devotion to the Guru and stabilize his mind in him. However, in the hands of wrong people it can potentially be misused to suppress free thinking and force the followers into blind submission. Strictly speaking, the scripture does not preclude the worship of God (Shiva) as one’s Guru. Evidently, it is applicable to only those Gurus who have attained liberation and oneness with Shiva. The Guru is Shiva in human form because he directs all his thoughts to Shiva and achieves the highest state. In other worlds, the Guru of the Guru Gita is no ordinary human. He is verily Shiva himself, who has dissolved his ego or identity into that of Shiva, and experiences nonduality. If the Guru has not attained that oneness with Shiva (God), or if he has even little traces of egoism and selfishness, he does not truly qualify as the Guru, nor does he deserve the veneration which is due to the true Guru. People approach Gurus for the same reason for which they approach God, believing that they are divine, possess the knowledge of liberation and help them resolve their problems and suffering. In the Bhagavadgita (7:16), Lord Krishna describes four types of devotees who approach him. They are the unhappy and distressed people, the curious and the inquisitive ones, seekers of material wealth and knowers of the Self. In the same chapter, he states that deluded by the triple gunas and their modes, the world does not recognize him and does not take refuge in him. It sums up the problem of finding a true Guru. If people cannot recognize God or take refuge in him, how can they recognize a Guru who is a human by birth but has merged his identity in him? Because of delusion people do not worship God or discern his presence in the world. The same holds true with regard to Gurus also. People usually seek Gurus for various reasons, which are listed below. Many people go to Gurus to obtain their blessings and spiritual help to overcome their personal problems and difficulties, under the assumption or belief that the Gurus have the power to grant their wishes and remove their bad karma. The truth is that compared to God, the Gurus have limited control. They channel divine powers, but because of physical limitations they cannot remove everyone’s difficulties or cleanse their past karmas. You may go to Gurus for blessings and help, but do not expect too much from them. The Guru is just a human, who has advanced on the path farther than you. He has his own limitations and compulsions. As a renunciant, he has already given up the world and worldly pursuits. Therefore, it may not be even proper to drag him into our personal matters and distract him from his spiritual work, unless help is badly needed and justified. It is not a Guru’s purpose to alleviate the suffering of the whole humanity. It is delusional to insist that a Guru should turn the water in the rivers into petrol or make everyone wealthy. He is not here to create abundance and remove the world's scarcity. Even God does not do it because it is against the law of Karma. Spiritual people are not expected to escape from their difficulties but endure them as part of their self-cleansing and transformation, unless there is a grave threat to their lives. They have to use suffering as a divine opportunity to learn important lessons and progress on the path. Spiritual life is not for those who are unwilling to endure suffering or escape from problems. Knowledgeable people and intellectuals approach Gurus because of curiosity or doubts to know metaphysical truths, ask questions and seek clarifications. They may be skeptical or have their own doubts about the need to practice spirituality or transcend death. After reading a few books or listening to discourses, they may become interested in such matters and wish to meet a few enlightened masters to clear their doubts. In most cases, such people do not venture beyond a casual exploration and keep their opinions and beliefs to themselves. However, after a few meetings and visits, some may become inspired by the peaceful atmosphere around the Guru, his teachings or his personality itself and wish to explore further. They continue their visits or decide to stay in the Ashram to be near the Guru and obtain his direct guidance. Most people who join the Gurus in this manner do not stay for long if their skepticism is not fully resolved. Their curiosity wanes if they notice any inconsistencies between the Guru’s words and his actions, or if they find people around the Guru lacking in true spirituality. They may also find the ashram life rather strenuous and boring if they are frequently called upon by the Ashram staff or the senior disciples to do menial work and not given permission to interact with the Guru. In some instances, the new initiates become skeptical of their Guru or his methods due to the information in the public domain and decide to leave. Curiosity is helpful in the beginning phases, but eventually one must cultivate firm faith and unconditional obedience to the Guru. Worldly life has its own charms, but it does not cater to your deeper needs of belongingness and self-actualization. Materialism drains away people’s energies and leave them listless. Because of the perils of excessive materialism, which is common in today’s world, many people turn to spirituality to rediscover and redefine themselves. It happened to many people in Europe and USA in the 1960s. They turned to Hinduism, Buddhism, Yoga and other spiritual approaches for peace and solace. Some went all the way to India and other countries looking for answers. Some became Hippies and drug addicts. Few joined Ashrams and ended up becoming Gurus or recluses, while many returned to their countries, disillusioned and unhappy to continue their previous lifestyles. The trend still continues. Whether you live in the East or West, you cannot escape from the emptiness and restlessness (samvega) of materialistic life. Broken homes, failed relationships, financial pressures and work related stress makes people feel lost and confused and look for alternatives. People who seek spiritual solace for such reasons may bring the same restlessness into their spiritual lives also. They may be in haste and not settle for one solution or one path. Therefore, they may keep experimenting with various Gurus and approaches until they become confused, exhausted and frustrated. They may also happen to see the same values of materialism and group dynamics at play in spiritual organizations also and feel dejected. As a result, most of them return to worldly life, having become wiser and more introspective in the process, with the lessons they learned from their past. The need for attention and approval is strong in some people. It is much stronger in case of those who had unhappy childhood, or who were neglected and ignored as children or who suffer from low self-esteem for any number of reasons. When such people enter spiritual life, they want to be closer to the Gurus and catch their attention. Their actions can potentially invoke the jealousy of others in the group who have similar problem and set in motion internal rivalries and power politics. Attention seeking behavior is common when many attention seeking people with low self-esteem compete with each other to join the inner circle of a Guru. Unfortunately, Gurus cannot pay equal attention to all their disciples, especially when they have a large following and they have to undertake many duties to meet their obligations. They may not even notice what has been going on among their disciples. Due to their training and discipline, they may also remain silent about it. If the conflicts escalate, it may a prove a problem to the Guru himself or his activities and personal reputation, as it happened in case of Osho. Those who feel neglected or ignored will gradually lose interest in the teachings and methods of their Gurus for no fault of theirs. Some harbor deep resentment and speak ill of them. Some spread lies and rumors to discredit them. Spiritual life is lonely life. Spiritual people are meant to practice discipline and virtue, and pay attention rather than seeking attention. Therefore, before you seek any Guru for guidance, you better examine your motives and know why you want to practice spirituality or follow a Guru in the first place. Many disciples develop feelings of dependence upon their gurus, and look to them for support and assurance in everything they do. They want to consult the Gurus on trivial issues and seek their advice and assurance. They experience insecurity and fear of abandonment if the Gurus do not frequently pay them attention or communicate with them. Since they do not like loneliness, they want to spend time in the company of the gurus and are easily dejected if they do not get enough opportunities. Spiritual life is difficult without mental maturity, autonomy and self-sufficiency. You may approach a Guru for guidance and help, but you must be able to stand on your own, believe in your purpose and face your problems with courage and confidence. The Guru is meant to help you, provided you are willing to make necessary sacrifices and go through the ordeals of spiritual practice with unconditional commitment. Overdependence upon the Guru defeats the very purpose of leading spiritual life, which is to become free from all bonds, fears and dependence. True liberation is liberation from all, including dependence upon God or a Guru in the ultimate stages. You may seek the guidance from others, but you cannot cling to them and expect them to take care of all your worldly problems. If you are not willing to think for yourself, be yourself or keep your emotions under control, you may find spiritual life rather challenging and difficult. As a spiritual person, you must be free from attachments, compulsions and the conditioning of your mind. For that you need sameness and equanimity. Faith is the foundation of spiritual and religious practice. Since spiritual life is full of uncertainties, your faith must be firm and strong. Whichever Guru or path you may choose, you must remain committed to them. In the Bhagavadgita, Lord Krishna states that faith is of three types, sattvic, rajasic and tamasic. Sattvic people worship gods, rajasic people worship Asuras and Tamasic people worship ghosts and spirits. Their methods of worship also differ. Sattvic people are inspired by devotion and follow devotional methods. Rajasic people are driven by egoism, selfishness, lust and passion. They follow unconventional methods that are not approved by scriptures. Tamasic people subject themselves to severe torture and engage in extremely painful methods to obtain results. Just as in everything else, the triple gunas are at play in the relationship between the Gurus and their disciples. You can divide the Gurus also as Sattvic, Rajasic and Tamasic according to their teachings and nature. They attract their disciples also accordingly. There must be harmony between the Guru and his disciples regarding their nature also. If a Sattvic person goes to a Rajasic Guru, there are going to be problems. So is the case if a Rajasic or Tamasic disciple goes to a Sattvic Guru. Sattvic Gurus are the best. If you want to find a true Guru, know your nature and choose accordingly, or try to cultivate Sattva and approach a Sattvic Guru, who radiates divine qualities. The only reason why anyone should choose a Guru is liberation. Any other reason is part of the delusion and Maya. If you want to make use of your Guru as a counselor or fortune teller to resolve your worldly problems, it is a choice which is certainly not the best. It is like misusing a high-power transformer to run a small engine. You should not bother about finding a Guru unless your motives are pure and your aim is liberation. If peace or good health is all you want, you can practice Yoga or some method at home and have it. For that, you do not have to bother a Guru. Let him take care of the more serious disciples and help them on the path. Liberation (Moksha) is the highest aim of human life. The paths to liberation are also many. Some of them are direct, but difficult, and some circuitous and time consuming. For example, the path of a householder is rather circuitous whereas the path of renunciation is direct. Householders can hasten their liberation by practising the various Yogas which are suggested in the Bhagavadgita and postpone their need for a Guru until they enter Vanaprastha (retirement) or Sanyasa (renunciation). However, since the paths to liberation are many, a novice who is intent upon liberation, needs the help a Guru to choose the right path and safeguard himself from unknown dangers. Only few people in this world approach a Guru for liberation. The rest go for one or more of the other reasons which we have discussed before. As the Bhagavadgita declares, only one person out of millions develops the yearning and aspiration for liberation and approaches God or a Guru for guidance. The rest are still part of the worldliness (moha-maya). For them, spiritual practice is another delusion and the Guru a status symbol, father figure or a mere distraction. Past life impressions and dominant desires play an important role in your choice of faith, God and Guru. A genuine Guru enters your life, if you truly deserve it and if you are ready for liberation. Ultimately, it is your mind, which manifests your life and destiny. In many cases, it is not the Guru, but the faith and aspiration of his most ardent, devotional and sincere disciples, which manifest the miracles, which deluded people mistakenly attribute to the Guru, who may not be even aware of them. For example, many people see their Gurus in their dreams and believe that it was the work of the Gurus. Probably, the Gurus have nothing to do with it, and it may be just their minds processing their predominant thoughts and desires and projecting them in the dreams. The devotees of God, who may end up choosing false Gurus, are rescued by him if their faith and devotion to him are pure and strong. God protects his devotees from the deception of their Gurus by manifesting their deepest thoughts and helping them find their way to his abode. As the Bhagavadgita declares, there is no loss on the path. Therefore, if your faith is genuine and you abide in Dharma with purity, devotion and faith, there is no cause for concern. Even if you fall into the trap of a false Guru due to unfortunate circumstances, you will be rescued by God who never deserts his dear devotees. It is why you should never forsake your relationship with God, however strong your relationship may be with your Guru, unless you know for sure that he is the living embodiment of God and has no ego of his own. Your primary relationship should be with God. You may see the God in the Guru, but not at the cost of your personal relationship with God, who is the original and the most ancient Guru. Many people forget this fundamental precaution and thereby lose divine protection. They replace God with the Guru and become deeply involved with his worship, name and form, and become lost in his promotional activities and organizational work. The Bhagavadgita clearly states that those who worship lower gods and demigods go to them, while those who worship the Supreme Being go to him only. You cannot enter spiritual life without being virtuous, pure and austere. It is the foundation upon which your progress depends. If you have imperfections, your progress will be imperfect and so also your choice of the Guru. Your Guru manifests in your life, according to your faith, purity and virtue. If you are true to yourself, pure and virtuous and if your aspiration is genuine, you will find a truly genuine Guru who has attained perfection and who can take you to other shore. Otherwise, you may find the one whom you deserve or who deserves you. Your progress on the path primarily depends upon you and your practice. Your Guru may help you with knowledge and guidance for your self-transformation and purification, but you should not expect him to do that work for you. Your practice is an offering, a sacrifice, which you make to God through the Guru as part of your Jnana Karma Sanyasa Yoga. None of his teachings will be of use, if you remain engaged in selfish pursuits and to try to use the Guru to fulfill your worldly desires. Your attitude, thinking, conduct, behavior and character are more important than whether you are closer to your Guru, whether you meet him frequently or how near you sit when he is delivering a discourse. If you are pure and virtuous and if your aspiration is truly genuine, you will progress on the Path whether your Guru is near you or not. You should aim to cultivate the predominance of Sattva. With purity, you will find the practice of spirituality much easier. You will have detachment and discerning intelligence, and you will be free from conflicts, doubts, despair, delusion, egoism and attachments. With discernment and equanimity, when you meet a Guru, you will know instantly whether he is the right choice for you or not. Without inner purity and discernment, when people seek Gurus, they may mistake one for another and fall into the trap of false gurus and their propaganda. Therefore, if you have been a victim of a false Guru, take responsibility for it and consider it the fruit of your bad karma. Probably it was your own personality and imperfections, which attracted him to you. Learn the lesson and move on. Nowadays, it is very difficult for false gurus to hide their deception for long. Therefore, do your own due diligence, with an open mind and make an informed decision. There is no better Guru in the whole universe than God himself. There is no better relationship with anyone in this world or elsewhere than your relationship with God. You cannot replace that relationship with anyone. If you choose God as your Guru and do Swadhyaya (self-study), you do not require any other Guru. If your faith is pure, he will guide you safely better than any living Guru. You may treat your Guru as God on the spiritual path, but when it comes to ritual or sacrificial worship, it should always be offered to God, or the gods to whom we traditionally make offerings according to the Vedas, Agamas and other scriptures. Unfortunately, people are building temples for modern Gurus and giving them more importance in rituals and temple worship than to Brahma, Vishnu, Shiva, and Shaktis, who have been venerated for millenniums as the highest divinities of Hinduism. It is important to remember the advice, given in the Bhagavadgita. If you want to reach the abode of Brahman, you must worship none other than the Supreme Being (Isvara), who is traditionally identified with these divinities, with supreme faith, love and devotion. These divinities have been energized by their devotees for thousands of years. If they are like the Sun, others are like the candle light. Therefore, choose wisely the objects of your worship. God does not live in heaven only. He is everywhere, right in you and around you. You do not need a mega phone, a mobile phone, a letter or a close associate of a Guru or the Guru himself to communicate with him. A simple, ardent prayer will do. Let God be your guide in worldly life as well as spiritual life. In this regard, Sikhism is the best example. It has Gurus. The Gurus have their own place in the esteem of its followers, and God has his own place in their hearts. The Gurus do not replace God or usurp his position. They inspire them to follow God, live virtuously and pray to him. A devotee can follow a similar approach in his relationship, thinking and attitude towards God and the Guru. In ritual practices, you have the option to worship God directly or seek the help of a priest. You have the same option in spiritual life also. For your liberation, you can approach God directly or through the mediation of a Guru. The latter is fraught with several unknowns, and you will be safe when you are protected by your own virtue and Dharma. The safest way is to practice Swadhyaya (self-study) and choose God himself as your Guru, entirely leaving your spiritual Wellbeing to him. 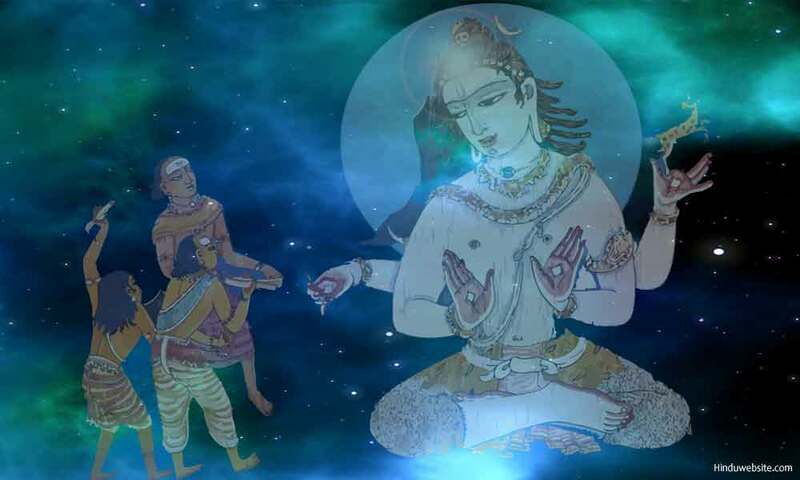 The best of the best Gurus in the whole universe are Brahma, Vishnu and Shiva. Choose any of them as your Guru, worship them as Isvara, the Lord of the Universe, and wholeheartedly ask him to guide you. It is better than remotely worshipping a Guru, who is otherwise busy and has little time to guide your personally. You may consciously choose one Guru, but in your life, you will come across many gurus in many guises to help you learn valuable lessons and progress on the path. Do not ignore such Gurus, and do not fail to show them gratitude. They may come as your friends, teachers, elders, children, relations, strangers, enemies, and even as pets at the most crucial times in your life and help you become wiser and better in their own ignorant or enlightened ways. If you do not learn to see God everywhere and in everyone, you do not truly qualify to be a seeker of God on the path of liberation. Think of them as the messengers of the omniscient and omnipresent God. They are chosen according to your karma, aspiration and attitude. You may not be meeting them for the first time. They might have been part of your past lives and collective karma, who manifest in your life at different times to impart valuable knowledge to you, or help you in your progress. If you are mindful and receptive, you will discern them and benefit from them. Even a false Guru may enter your life for a reason. He teaches valuable lessons to his unfortunate followers. He is the false prophet, whom God choses to teach the world valuable lessons regarding the nature of reality, trust, faith, wisdom and purity. Disclaimer: This essay is not meant to denigrate any Guru nor does it apply to any living or dead Guru. Any resemblance to real persons or Gurus, living or dead is purely coincidental. Choosing a guru is a personal choice, and everyone has the right to make that decision correctly or incorrectly.